EVERYBODY stand down, the rush for City Hall is off for now. 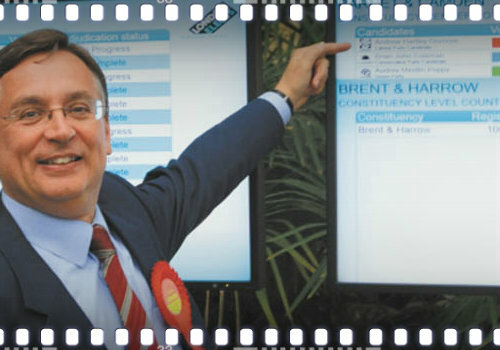 Andrew Dismore’s failure to re-take Hendon from the Tories on Thursday has caused extra ripples of discontent in Camden where, as already suggested on these pages, a few familiar faces were eyeing up his London Assembly seat. This frustration scaled on election night from mild irritation to incredulous anger, with an amazement that Dismore’s campaign could not secure an important target seat. Matthew Offord, who benefited from a David Cameron campaign visit just before the polls in a way Simon Marcus didn’t in Hampstead and Kilburn, survived with a 3,724. When you look at how many seats were much tighter than this, Labour were not actually that close to recapturing the seat. It is areas like this where Ed Miliband’s glory glory night fell apart. A return to Parliament, meanwhile, was meant to be a reward for unseating the infamous north London Tory Brian Coleman from Barnet and Camden seat at City Hall. The wider picture of Labour catastrophe means the local campaign can explain the failure to win despite red hot favouritism with the bookmakers as part of a national trend. Others might say by running with Dismore again, they played into the repeated Guido calls to block his return on the basis of expenses controversy last time he was at the Commons. That influential blogsite seems to reserve its most colourful language for him. Tory Matthew Offord holds his Hendon seat increasing majority from 106 to over 3,000. End of Andrew Dismore on national stage? Whatever the retrospective analysis, this one seemed like a banker. Mike Katz, Sue Vincent and Phil Rosenberg are among those who may now need to find alternative routes to the assembly. Shame for Andrew, still the folks of Hendon know which candidate and party best represent them. We should give Andrew the prize for the second largest own goal of the election that of leaving the building behind 1st prize holder Ed Balls. It says a lot for Labours after the Coleman fiasco.